Animal and Meat Production in Ghana-An Overview. ABSTRACT: Animal production is an integral part of Ghana’s agricultural economy and a major source of livelihood for many rural households in the Northern, Upper East and Upper West Regions of Ghana. In Ghana, animals are raised under the extensive, semi-intensive and/or intensive system. However, the extensive system is the commonest method and it is practiced most especially in rural communities. Animal production holdings are commercially, family or individually owned. Commercial farmers normally keep poultry, and mostly under the intensive system. Different animal species are reared in Ghana purposely for local consumption. This paper provides an analysis of animal and meat production in Ghana within a 10 year period. Between 2001 and 2010 the average of live animal production was 3,958,560 for goats, 3,269,460 for sheep, 1,373,700 for cattle, 404,600 for pigs, and 33, 252 for chickens. In general, the increase in goat and sheep production was higher than the increase in cattle, pigs and chicken production within this period. Averages of meat production in Tonnes were 34,427, 24,491, 13,535, 12,336 and 12,056, for chicken (chicken meat), beef (cattle meat), pork (pig meat), chevon (goat meat) and mutton (sheep meat), respectively. 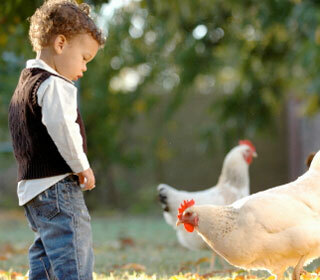 The increase in chicken meat was the highest within this period. Total meat production in Tonnes was 177,723 in 2001, 176, 086 in 2002,181,686 in 2003, 186,470 in 2004, 188,537 in 2005, 191,021 in 2006, 198,093 in 2007, 220,243 in 2008, 232,516 in 2009 and 244,742 in 2010. Opportunities for increased animal and meat production in Ghana still exist since the country imports animal and meat from abroad. This overview provides reference data of animal and meat production in Ghana. It is expected that the Government and other stakeholders will use this data in planning and making of policies, and to monitor changes that may occur overtime. Key words: Agricultural economy, Animal production, Animal species, Meat production, Ghana. Majed H.M., Zahid A.A.H., Kadhim L.I., and Hasoon M.F. ABSTRACT: The present study was undertaken to compare different diagnostic procedures for the detection of Newcastle disease and Infectious bursal disease in broilers and layers (during the period from March 2011 to February 2012 in the laboratory of the Department of Microbiology and Pathology, Faculty of Veterinary Medicine, University Putra Malaysia (UPM) .A total of 187 sick and dead chickens (63 broilers and 124 layers) of different ages (1 week to >15 weeks) were collected from 12 selective poultry farms (4 broilers and 8 layers). Clinically, 7 (14.89%) of 63 affected broiler and 27 (30.68%) of 124 affected layer chickens were diagnosed as Newcastle disease (ND) whereas, 11 (23.4%) of 63 affected broiler and 6 (4.82%) of the 124 affected layer birds were diagnosed as IBD on the basis of clinical history, clinical signs and postmortem findings. Virus isolation from field samples was performed by inoculating each suspected sample into 10-day-old chicken embryos. Out of 34 ND suspected field samples, 26 (5 broilers and 21 layers) were positive for NDV isolation and 11 (8 broilers and 3 layers) of 17 IBD suspected field samples, were positive for IBDV isolation. For confirmatory diagnosis, virus detection was confirmed by serological tests (HI and AGID) and RT-PCR assay. Out of 34 clinically diagnosed ND field samples, 20 (5 broiler and 15 layer) were positive by RT-PCR assay and 15 (10 broiler and 5 layer) of 17 IBD suspected field samples, were positive by both AGIDT and RT-PCR assay. Of the 26 HA positive NDV suspected AF, 19 (4 broilers and 15 layers) were positive by both HI and RT-PCR assay whereas, 10 (7 broilers and 3 layers) of 11 IBDV isolation positive tissue suspension were positive by both AGIDT and RT-PCR assay in the laboratory. Therefore, it may be concluded that serological (HI and AGIDT) and molecular (RT-PCR) techniques which allow rapid identification of most of samples are the reliable, sensitive, specific and more accurate methods to detect the viruses for the confirmatory diagnosis of diseases. Key words: Clinical diagnosis, NDV, IBDV, HI, AGIDT, RT-PCR assay. 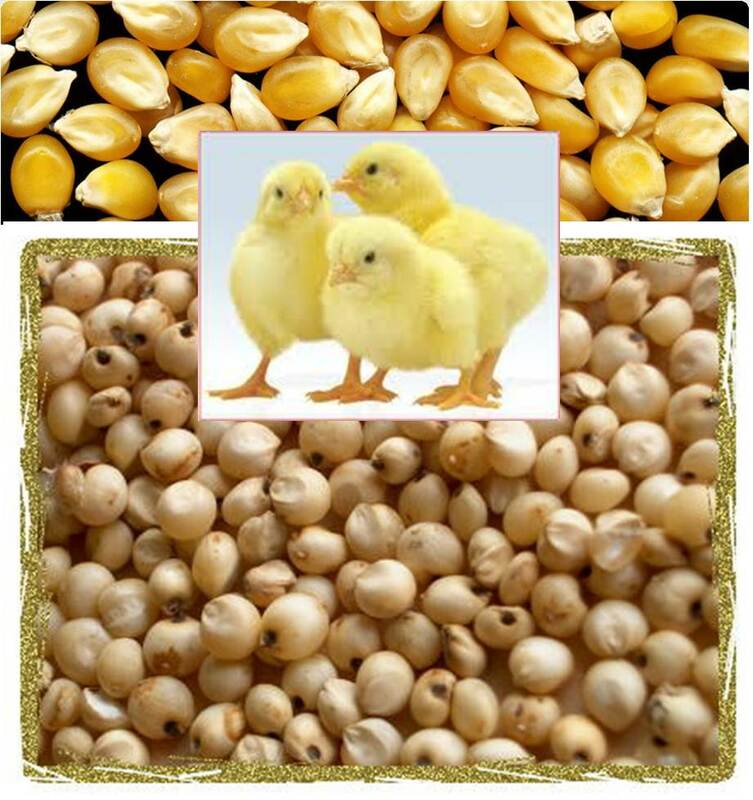 Effect of substituting yellow maize for sorghum on broiler performance. Ahmed M.A., Dousa B.M. and Abdel Atti Kh.A. ABSTRACT: An experiment was conducted to study the nutritional value of yellow maize when it substitutes sorghum grain as source of energy at levels 0, 25, 50, 75 and 100% in broiler rations. One hundred and forty unsexed one day old (Ross) broiler chicks were randomly assigned to five approximately isocaloric and isonitrogenous diets labeled as follows: Diet (S0) containing sorghum 100% (control, 60% of the diet), diet (S1) 75% sorghum 25% maize, diet (S2) 50% sorghum 50% maize, diet (S3) 25% sorghum 75% maize and diet (S4) maize (100%) (without sorghum). Each treatment had four replicates with 7 birds/replicate. The experiment lasted for 6 weeks. Feed intake and body weight gain had been recorded weekly. The results showed significant increase (P < 0.01) in feed intake (3847.7, 3817.68 and 3734.06gram) and body weight gain (2189.58, 2203.04 and 2078.98gram) for birds fed diets S0, S1 and S2 respectively. No significant differences were observed in feed conversion ratio among all dietary treatments. Moreover, protein efficiency was greater for birds received diet S0 (2.65) and diet S1 (2.62) and lowest for birds received diet S4 (2.45). Birds fed diet S3 and S4 recorded significantly (P < 0.01) lowest hot and cold carcass weights (1420.83, 1479.17gram) and (1395.84, 1458.34gram) respectively than other groups. Broiler chicks supplemented with diet S1 and S2 recorded significantly (P 0.05) effect on cold carcass dressing percentage, liver and abdominal fat weights, serum cholesterol, serum calcium and inorganic phosphorus levels. The cost of production decreased by increasing level of maize. Ibrahim M.A., Emeash H.H., Ghoneim N.H. and Abdel-Halim M.A. ABSTRACT: Non-typhoid Salmonella serovars remain a potential threat to human health, and poultry species are possible sources of these organisms. In this study, trials for Salmonella isolation from poultry and humans were conducted in the period April 2009 through March 2010 in Beni-Suef Governorate, Egypt. Cloacal swabs were collected from different live poultry species including 150 broilers, 50 breeders, 50 layers, 50 turkeys, and 50 ducks, beside 30 litter samples from various poultry farms. Regarding the humans, stool samples as well as hand swabs were collected from 90 workers and poultry contacts of the examined farms. All poultry and human samples were subjected to bacteriological examination and serological identification for Salmonella spp. The recovered Salmonella strains were found belonging to S. Kentucky, S. Typhimurium and S. SaintPaul. 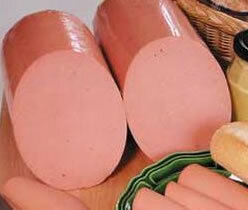 The obtained results demonstrated that the occurrence of Salmonella spp. accounted for 16.66, 10.0, 2.0, 6.0 and 2.0% in broilers, breeders, layers, ducks and turkeys respectively. Investigation of litter samples revealed that the occurrence of S. Kentucky was 53.33, 66.66 and 28.57% in broiler's, breeder's and duck's litters respectively. Examination of human samples declared that 8 out of 90 hand swabs were found positive for S. Kentucky whereas all stool samples reacted negatively to all Salmonella spp. 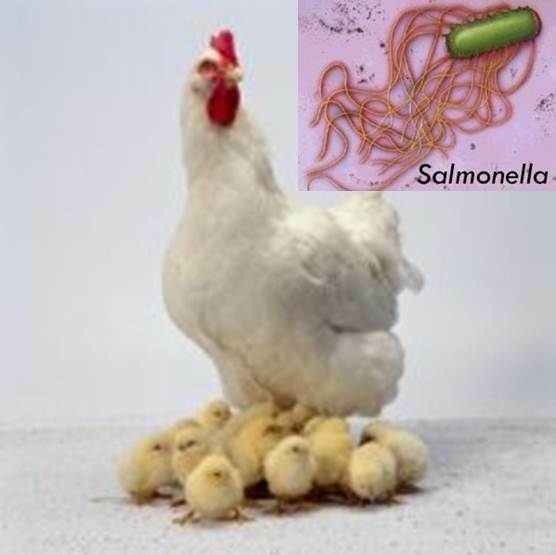 In the present study, conclusively Salmonella serovars (S. Kentucky) isolated from chickens were frequently isolated from hand swabs of the examined poultry contacts, this provided evidence that direct contact with poultry or poultry environment may pose health hazards for humans. Pathak P.K. and Nath B.G. ABSTRACT: Livestock and poultry rearing is an imperative factor for improving the nutritional security of rural poor in India. Rural farmers rear Desi type chicken with low egg and meat production in backyard system. For developing the rural poultry farming, improved backyard poultry like Vanaraja/Gramapriya birds rearing is of utmost important. These improved birds can rear in both intensive and free ranging system. Birds can be reared for egg production in small numbers (10-20) in free range conditions if plenty of natural feed resources are available. Chicks need brooding during initial 6 weeks of age to maintain the required body temperature and to protect from predators. In nursery rearing, feeding of broiler starter up to 28 days is better option but it can also be formulated with locally available materials. At 42 days of age, the birds can be let out under backyard free-range conditions. Birds should be vaccinated specifically against the Newcastle disease and fowl pox. The backyard poultry farming with improved birds provide a solution to food security to the needy villagers paving a way for sustainable agriculture in rural areas of India. Ahmad Dar J., Tanveer S., Ahmad Kuchai J. and Ahmad Dar Sh. ABSTRACT: During the present study, three species of the genus Corvus namely Corvus monedula, C. splendens and C. macrorhynchos were collected from different localities of Kashmir valley and investigated for the presence of cestode parasites. Anomotaenia galbulae (Gmelin, 1790) Furhrmann, 1932 was recovered from all the three host species. 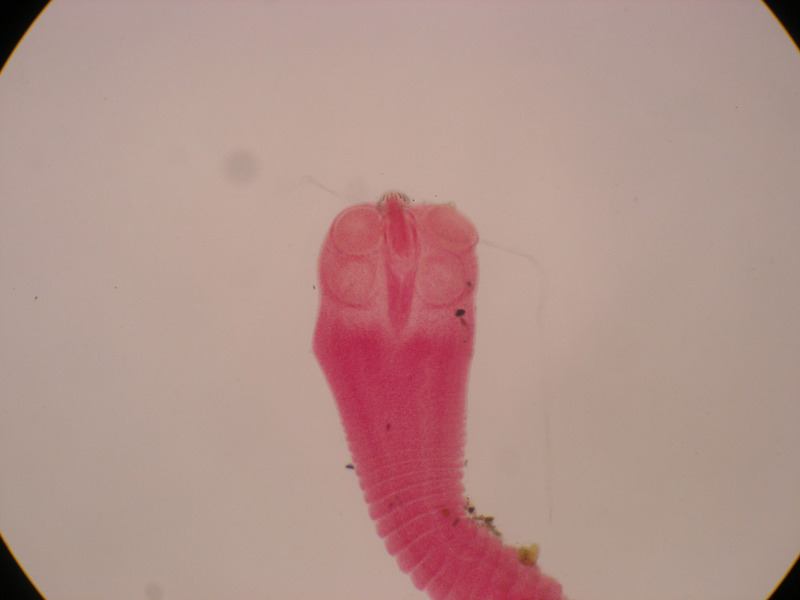 While, Choanotaenia micracantha was recovered only from C. monedula and no specimen of this cestode was obtained from C. Splendens and C. macrorhynchos during the present study. The specimens thus collected were identified as Anomotaenia galbulae and Choanotaenia micracantha on the basis of various morphological and morphometric characters when compared to the known species of genera Anamotaenia and Choanotaenia respectively. 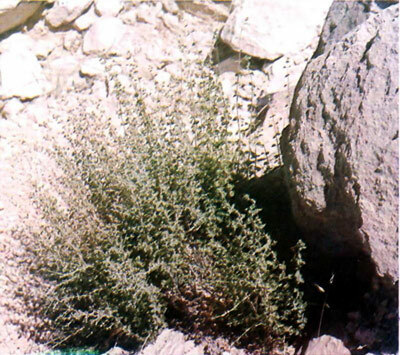 However, some intraspecific variations were observed. Key words: Cestode, Crows, Corvus, Anomotaenia, Choanotaenia, Kashmir, Morphology. Shomali T, Hamedi S, Paryani MR, Mohseni SM, Farzaneh M.
ABSTRACT: Regarding the remarkable role of bursa of Fabricius as a primary lymphoid organ in poultry, this study aimed to evaluate the effect of long term administration of Zataria multiflora as an herbal immunomodulatory agent on histological features of this organ in broiler chickens. To this end, fifty, one-day old chickens were randomly divided into five equal groups and fed with diets contained 0.5, 1, 1.5, and 2% of Z. multiflora (experimental groups) or basal diet (control group) for 45 days. On day 46, birds were slaughtered and bursa of Fabricius was dissected immediately. 6μm-thick transverse sections were made and stained with H&E for measuring height of pelicae, follicular width as well as thickness of follicular cortex and medulla using a linear graticule. Number of follicles in plicae was also counted under light microscope. The results showed a dose dependent increase in all histomorphometric parameters due to Z. multiflora administration and the highest increase was in the thickness of follicular cortex of birds treated with 2% Z. multiflora. In conclusion, dietary inclusion of Z. multiflora during the rearing period of broilers, dose dependently affects histological structures of bursa of Fabricius in a way that may enhance its role as a lymphoid organ. Key words: Bursa of Fabricius; Histology; Zataria multiflora; Broilers.